For those of you who are fortunate enough to have an extra room or can build an extension and have the finances to do so, creating a bird room can bring lots of pleasure. With a little bit of imagination, you can set up a room that is both functional and lends beauty to your house. 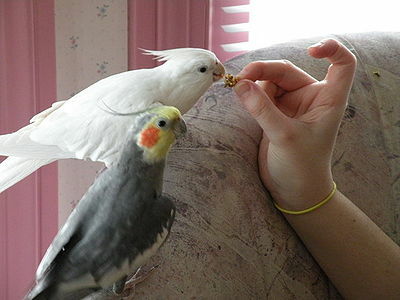 The size of the room depends on the size of the birds and how many you plan on keeping in the room. You can check with someone who is knowledgeable about birds on the appropriate number. The room should have a window to allow natural light inside. The window needs to be secured so that no drafts will enter. If you want to view the room from inside the house without going in, you’ll have to put a large window in where the birds can be seen. Be sure the window is made of shatterproof glass for safety. You’ll want to have an air filtration system to keep the room relatively dander-free and pleasant smelling. Any light fixtures in the room should be protected so they don’t present a hazard for the birds. If possible, you can set up a two door system to enter the room. This will avoid birds escaping and other pets from entering the room. Walls should be covered with a non-toxic paint. Birds can peck at wallpaper and destroy it, getting sick in the process. The floors should be tile or linoleum, any product that is non-absorbent, making them easy to clean. You can have a plumber set up an automatic watering system or you will have freshen the birds’ water and bath several times daily. 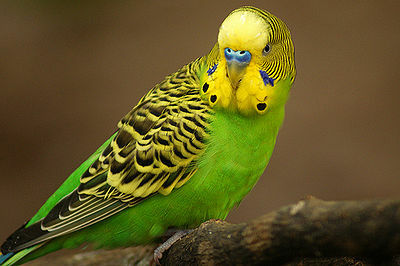 Bird feeders should be larger than those found in cages. You can place several around the room. Your birds will need perches which you can purchase or create yourself. 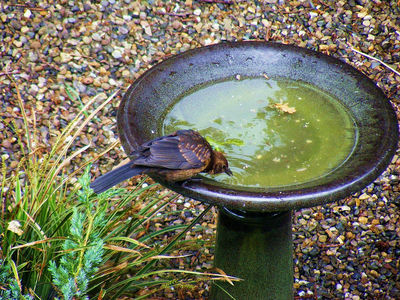 Depending on the size of the room and number of birds, you can purchase large planters. Fill them with stones and the type of sand used for children’s sandboxes. Cut different size branches from trees that are non-toxic to birds. Then place the braces securely in the stones and sand. Using fake plants to decorate the room provides beauty without having to water or fertilize live plants. You can add toys to enrich the birds’ environment. 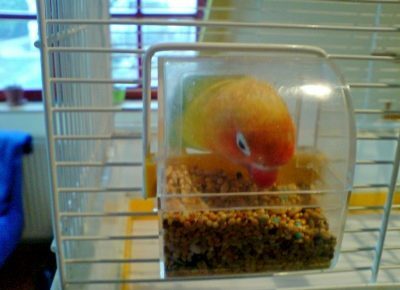 Planning beforehand will create a room for your birds and you and your family and friends can enjoy for a long time.